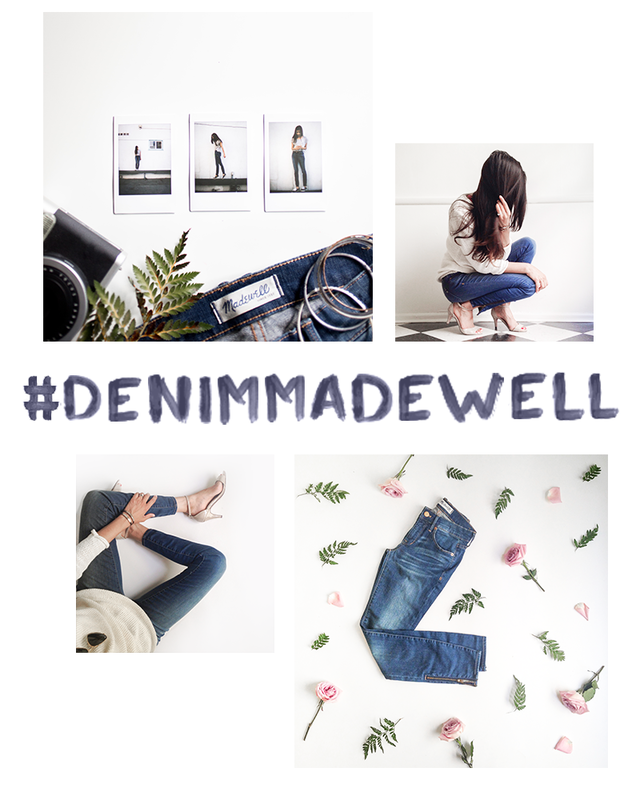 A couple of months ago, Madewell and Artifact Uprising invited me to share my take on denim and to launch their #denimmadewell contest on Instagram. The winners have now been announced and there's an insta-exhibition today featuring their photos! Congrats ladies! The winning picks are so stunning and inspiring. I'm excited to co-host their insta-exhibition in Century City this evening from 7-9pm. Come by if you're in LA! There will be snacks, treats, and much more. You can RSVP here. Hope you're doing well! This month is particularly exciting as we're celebrating quite a few birthdays within our family. Before I know it, it will be November and the temperature will still not have changed in Los Angeles (ha!) Hope you have an amazing rest of the week! Congrats on the collab! I actually like the pictures above even though they were outtakes.